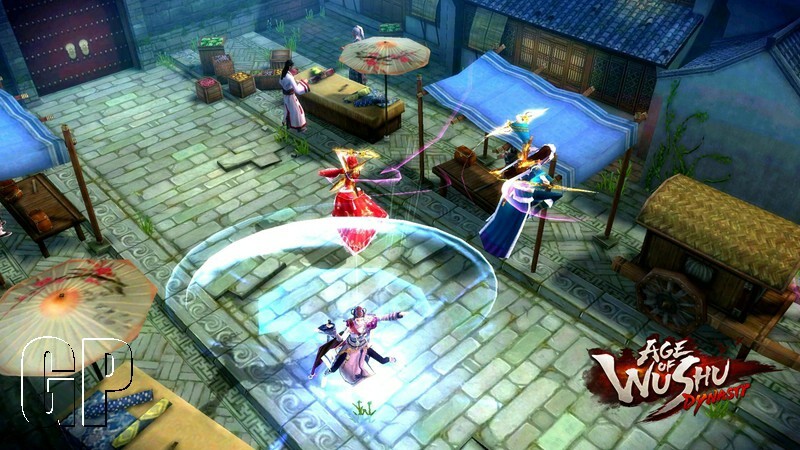 Age of Wushu is a martial arts-themed MMORPG brought to us by Snail Games. It was originally developed and released in China and has been so successful that it will be released in both North American and Europe. The game takes place in medieval China and makes use of the Wuxia lore that has been the setting for many popular Chinese stories. IF you are a fan of martial arts and games that offer lots of freedom, you will want to check this title out. Wuxia is the term used to describe the fantasy world in which martial arts heroes are able to achieve superhuman feats. In Age of Wushu, you will take on the role of one of these martial arts heroes and travel across the massive land of ancient China. The game offers you a lot of freedom and is completely FFA PVP. You can be attacked anywhere and at anytime by anyone, even someone from your own school. Luckily, there is no looting of dead players. PVP – PVP is enabled everywhere, even in the middle of town, and there is no way to escape it. When you log in, you are warned of this and asked if you accept it. Your only protection will be your own ability as a martial artist and the kindness of others. Skill-based – There are no traditional levels in Age of Wushu. The closest thing to a level you will find is how far you have cultivated your Internal Skills. You raise each skill individually using the Cultivation system. Crafting & Resource Gathering – Age of Wushu offers a diverse and interesting crafting system. There are several crafting professions to choose from that will allow you to make items needed by yourself and your fellow players. Of course, there is a resource gathering system to go along with this. Life Skills – Not everything requires combat. You can learn valuable life skills that can help give you a respite from the fighting. If it’s your thing, you can start playing Weiqi, an ancient Chinese board game. Or perhaps you would prefer breeding silk worms for their silk? And when you decide to go back to fighting, your life skills will often help you. Schools – Rather than classes, there are schools. While similar, schools are a lot more involved than typical MMORPG classes. They double as a faction, and are almost as close-knit as a guild. The school you choose will have a big part in how you play the game. One great feature is that executive positions within the school can be taken by players, including school leader. Guilds – Guilds can grow and take over territories and guild bases. When a guild takes a base, it becomes susceptible to attack from enemy guilds and the buildings within can be burned down. Age of Wushu is full of neat features, the above are just those that stood out to me the most. I can honestly say that this is one of the most feature-complete online titles that I’ve seen come from Asia. All the options were a pleasant surprise and the unconventional way of raising your skills was refreshing. I’ve got to thank Snail Games for providing such a unique experience. Customization in Age of Wushu is not too extensive. Most of the options focus on the face and you are given the ability to literally sculpt your face. You are free to position and change your nose, eyes, and jaw among other things. You may also choose your starting clothes, hair – which I thought had a limited selection, and other essentials. You will choose your character’s back-story, which will have an effect on your starting location and your storyline. After you are in the game, most of the customization comes in the form of choosing life skills to learn, developing your abilities that fit your style the best, and dressing your character using the many clothing options available. All these options combined means you will not be running in to copies of yourself frequently. I’ve yet to find someone who looks just like me. There is no denying it, Age of Wushu is a stunning game. Not because the textures are high quality (because they aren’t), but because the landscapes are so beautifully crafted. Each area tells a story and you can see the care that went in to making them. Everywhere you look you will see amazing vistas that will make you stop and take screenshots. I’ve taken well over a hundred so far. You can imagine how hard it is for me to decide which to include in this article. Hopefully the ones I share will show you what I mean. The world in Age of Wushu is huge, just like China is huge in real life. There are many different areas, with their own unique looks and styles. There are plenty of cities to experience and wilderness to explore. In all my travels, I only came across one negative when it came to graphics. It was a bridge that was not solid, and I fell to my death. Other than that, while definitely not “next gen”, the graphics are impressive. There isn’t much for me to write in this section. WASD and point-and-click movement are available. When you log in, you are prompted to go with “traditional” or “new” movement scheme. The only difference is one has you actually walking backwards when you hit S, and the other has you turn around and run in the other direction when you hit S. Jumping plays a big role in the game, in both combat and just getting around. There is auto-pathing for quest, which is nice as it can take a while to get to all the different quest objectives. The only issue with the controls that I had was that by default, Right Mouse Button is used for both moving your camera and blocking in combat. Changing the blocking key to something like E (which isn’t bound to anything) fixes this. Community plays a large role in Age of Wushu. When you choose your school, you are thrown in to a thriving community. You will be working together with these people to protect and advance your school. There is also your guild, which can be made up of people from every school. The game promotes making friends AND enemies. You can have normal friends, close friends, enemies, and blood enemies. Sometimes you are presented with situations that will have you conflicted. You might have a guild member or a close friend who is stealing books from your school. Should you let them go, or stop them? Maybe your guild leader has a different school than you, and your two schools are going to war and he orders everyone else to join his side in the war. Dilemmas such as these add so much more depth to the game. Rarely I’ve come across someone who was not helpful and friendly. Most everyone I’ve met and talked to has tried their best to help those around them, even if it is with a redundant question that gets asked every five minutes. The amount of patience and understanding had by the community in Age of Wushu is astonishing. Age of Wushu has a very diverse range of gameplay elements. While it provides a satisfying combat system, it also gives you plenty of non-combat stuff to do. From playing board games to tailoring clothes. I’ve seen games offer this type of stuff before, but I’ve not seen a game tie it all together so well. It’s just superb all the options available to you. There is no doubt that combat is the center of the game. I mean come on, it’s based on Wuxia. And because of this, the developers have put a great deal of work in to making an exciting combat system that can convey the awesomeness of martial arts mixed with superhuman abilities. Learning ‘flying’ abilities that allow you to run across water, sprint up walls, and jump long distances makes for a very three-dimensional experience. There’s nothing like exchanging blows with an enemy while you’re both in the air, and then throwing knives at each other while you sprint across water. Each school has their own unique styles of combat. For example, Shaolin focuses on staff and unarmed combat techniques. Each school has multiple sets of abilities that you can learn and train in. You and your friend can both be in Shaolin, yet have completely different focuses that makes you both have your own unique style of fighting. Your school will also dictate what you should and shouldn’t do. I say should or shouldn’t because even if it’s against your school rules, you can still do it (at the cost of penalty points). For example, the Beggar Sect has abilities that depend on being drunk, while Shaolin can learn those skills by stealing ability scripts, they are not allowed to get drunk. PVP plays a massive part in the game. Everywhere you go, you are to be attacked by anyone. Of course, there are consequences for killing someone unprovoked, such as becoming a criminal and having player constables chasing after you to put you in jail. The people you kill can also put a bounty on your head. If you do enough bad things, you might even get your head chopped off in a public execution. Two big events, in terms of PVP, are the School Wars and Guild Base Raids. In School Wars, two schools are pitted against each other in a sort of “capture-the-point” game type where hundreds of players will fight. Each war has a defender and an attacker, the defender’s school plays the part of the battlefield. If you are not in one of the schools participating in the war, you are able to choose whether you want to join the attackers or the defenders, or not participate at all. In a Guild Base Raid, the attacking guild leader issues a warning that the attack will happen a few days in advance, so that the defending guild will be able to organize a defense. The attack itself consists of the attackers trying to burn down the enemy guild’s building, which will require resources to rebuild. Allies of the attackers and defenders can also take part in the battle. I had the most fun in base raids. Each week on Sunday, there is an event called the School Meeting. This is a tournament of sorts where members of a school will fight for executive positions within the school. There is a tournament between the challengers and then the winners get to challenge the current executives for their leadership roles. The school leader is voted on by everyone in the school. Rather than your traditional leveling system, Age of Wushu uses a unique ‘cultivation’ system. With cultivation, the experience you have collected is regularly converted in to cultivation points which are then used to train your individual skills. You can take medicines, receive buffs, and visit sacred areas to increase the conversion rate. I really liked this system, because it seemed to take away a lot of the monotony of raising your skills. Once you have cultivation points, there are three methods to raise your skills with them. You can do Internal Cultivation, which is passive and will regularly put in points towards raising your chosen skill. There is also Practice Martial Arts, where you can use the in-game money to raise skills (there is a daily limit, though). And then there is Team Practice, where one to ten players get together and “practice” using a mini-game where you must input a random combination of keys correctly. Like I said, resource gathering and crafting is pretty interesting. You are able to take all of the gathering professions, which are mining, fishing, hunting (skinning), woodcutting, and farming. Everything is your pretty standard MMORPG gathering. You find a resource node, click on it, wait a bit and then get a pop-up asking you to loot what you gathered. However, things start getting a bit interesting when it comes to farming. The farming system is great. You start with some seeds, which you can get by looting enemies or purchasing them from NPCs. You then take those seeds to one of the fields surrounding the towns and villages and plant them. Then you wait for them to grow. Depending on the crop this can take anywhere from three minutes to over nine minutes. You can use fertilizer to knock off a minute of time, and there is no limit to how much fertilizer you can use. You will also have to employ other chemicals to kill weeds and bugs to keep your crop healthy. Crafting is also similar to what you would find in other games. There are some differences, such as allowing people to use your services, for a price, as long as they have the materials to make it. This requires no input by you which can be convenient if you want to make a bit of money while AFK. There are also the mini-games. Each crafting profession has a bejeweled-type mini-game that can be played for bonuses and advancement. Another big part of the game is the instances. There are normal instances and mini-instances. The biggest difference between the two is the difficulty and the time it will take to complete. Of course, you will get better loot from the bigger instances. Flying skill books and recipes that players can learn are the main reason for doing these instances. Going offline is a pretty big thing. Why? Because when you log out, your character stays in the game and takes up a part time job. This can range from a street performer, to a guard. You can even become a tea server at the local tea shop. It depends on your location when you logged out and what skills you have. During this time, your character will gain you experience, money, and some other goodies for when you log back in. It is also possible for your character to be kidnapped by another player and sold to a shop or mine to be forced to work there. This does nothing negative to you, and the person trying to kidnap you can be killed by other players to save you. The biggest issue I’ve come across is localization. That is, the translation of the game. Right now it is not too bad, but a lot of things are confusing and next to nothing is known about a lot of things due to lack of proper translations. These problems can range from the wrong number being given in a buff, to a wrong description of an item. Compared to the first Closed Beta, however, the translations are a lot better so I have hope that these errors will be smoothed out over the next month of beta testing prior to launch. In my opinion, Age of Wushu is a great game that brings some really innovative features to the market. 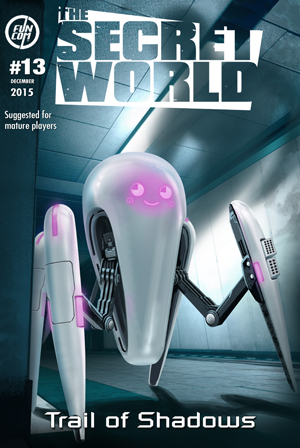 From the intense action-oriented combat to the focus on social aspects of the game, they do things quite well. My biggest worry is the cash-shop. Even though Snail Games has promised to keep it from being pay-to-win, the allure of doing so may make them change their mind in the future. If they can keep true to their word, I see smooth sailing and bright skies for Age of Wushu. I’ve enjoyed my time in the game so far and I plan to continue playing. Played this game for about two weeks now. It’s a very odd mixture of hate and love about this game. You’ll have the annoying players who enjoy annoying other players by interrupting them for hours. Then you’ll have the part where there is so much to do it’s not really about earning the max gear and do raids at the end. Though the cash shop and the way they set the VIP system it makes you really want to just spend that money to make things easier (death row would be much easier if you paid). The game overall is good but for sure there are things in the game makes you want to yank your hair out.